When living in a smaller home, there isn’t a lot of space to hide those every day items that make our lives better, but don’t exactly add to the decor…you know what I mean…the toaster, the exercise bike, and the TV. One of the biggest complaints of designers everywhere is, “I want to hide that TV!” Well, the designer in me is here to tell you, most of us need to have our TV at the ready. I don’t know about you, but when I’ve had a tough day, an evening curled up on the couch with Downton, or Grey’s, or even old DVD’s of Dr. Quinn are my fix. But…I also hate the look of a TV. 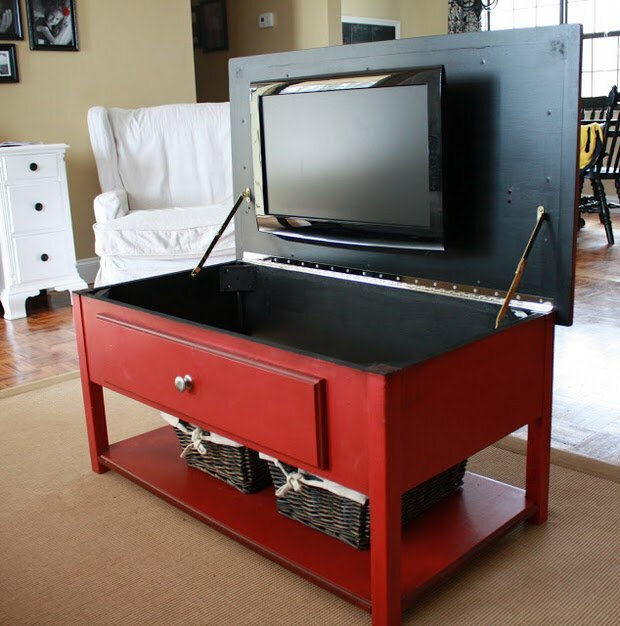 So if you are looking for easy ways to hide a TV…we have a bunch of ideas for you! From tutorials that require some DIY skills, to quick cover ups, here is how to marry the need for your TV with your overall room design. 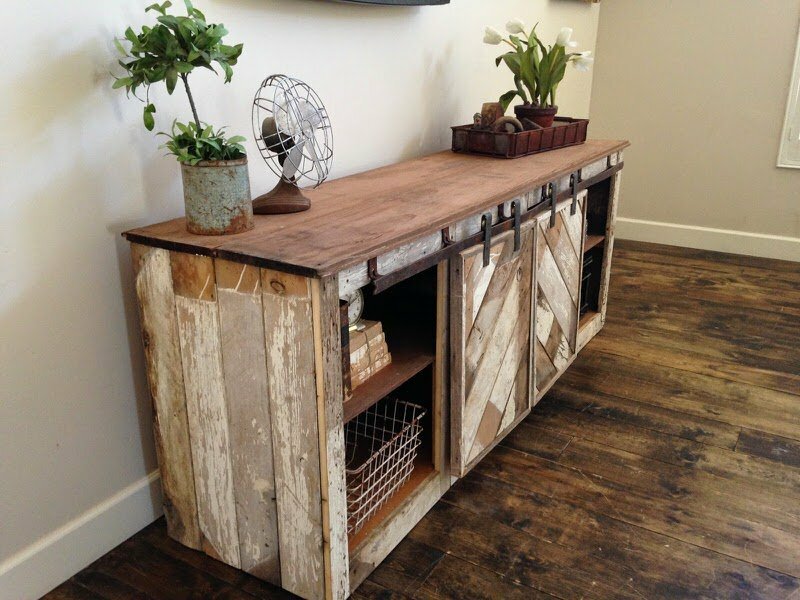 This reclaimed wood sliding door is the perfect way to hide your TV! 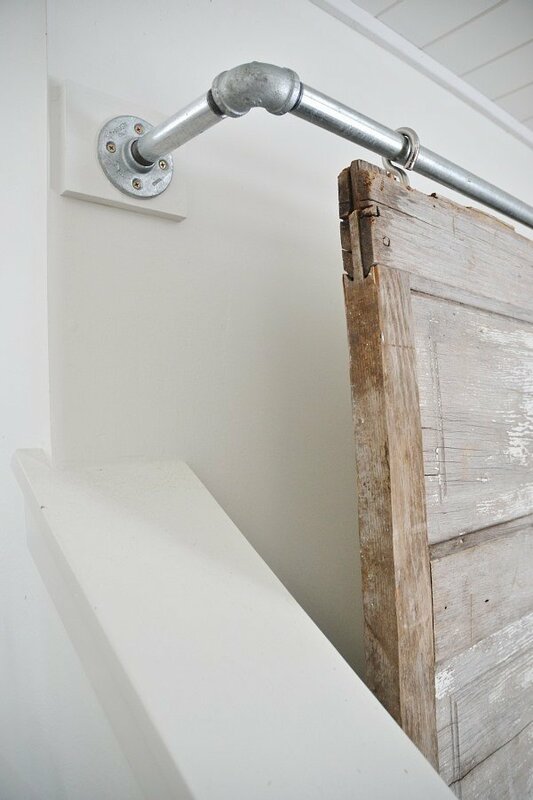 From ‘Cote de Texas‘, this pretty solution could be DIY’ed with the below tutorials! 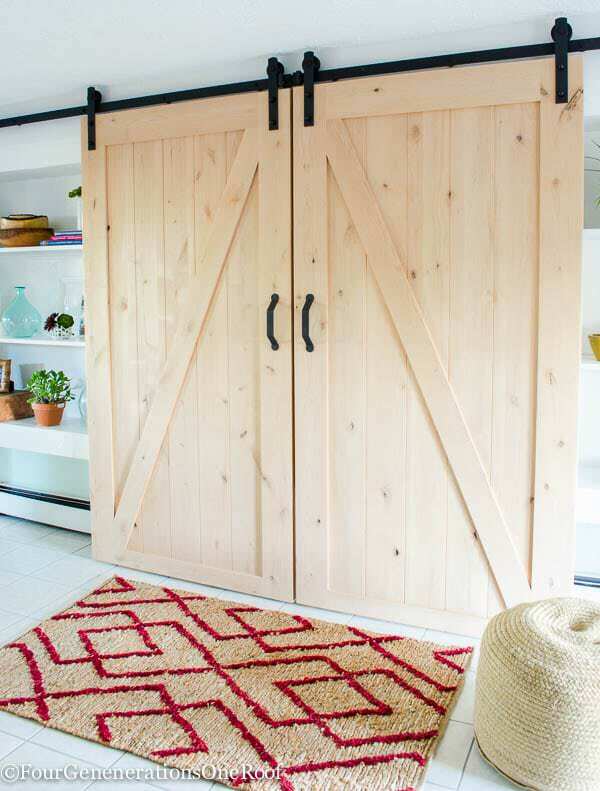 We LOVE this DIY sliding barn door TV cover from ‘Liz Marie‘. 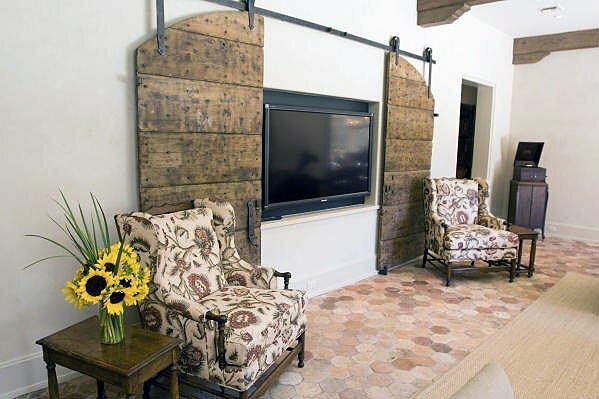 Beautiful solution to how to hide a TV! 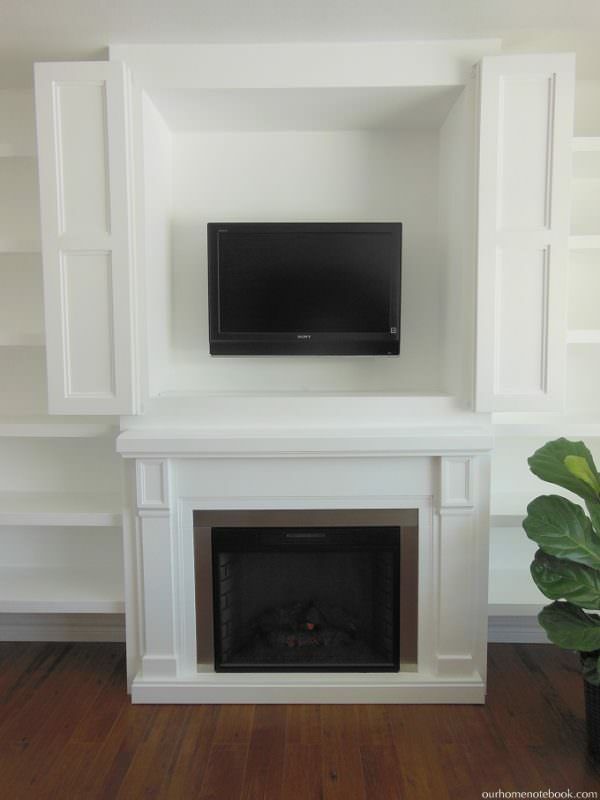 We’re impressed with this DIY built in fireplace surround with a nook to hide the TV, by ‘Remodelaholic‘. 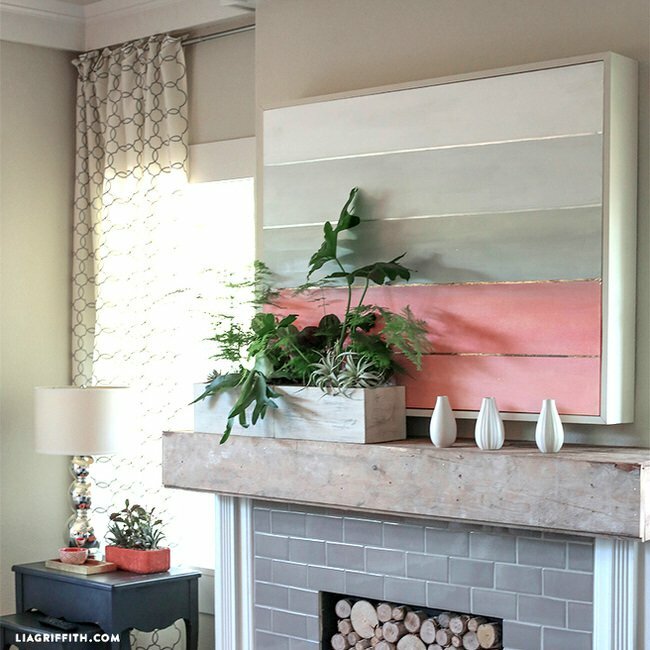 There are so many people with just a boring TV above a plain fireplace… why not make it amazing? This has a complete tutorial, including the shelving. ‘Just Laine‘ has an ingenious solution for when you don’t really want a TV, but you do… They installed a small TV in their amazing red coffee table! 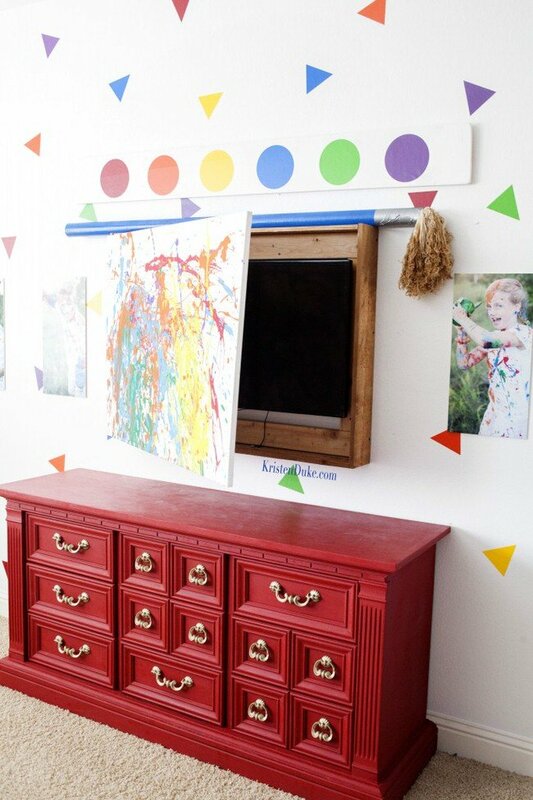 From ‘Kristen Duke Photography‘, love this colorful playroom gallery wall! But what? The painting isn’t just art? Could it be… a hidden tv? Don’t want to DIY this one? 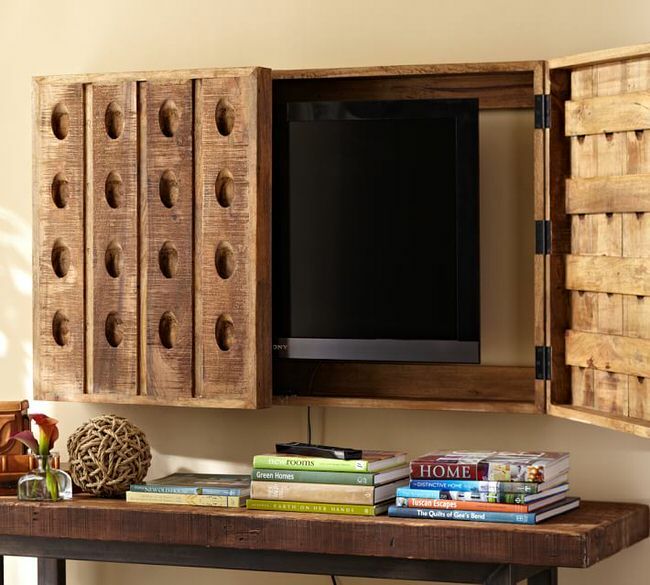 We love this riddling rack TV cover up from ‘Pottery Barn‘. Want to go ultra tech? 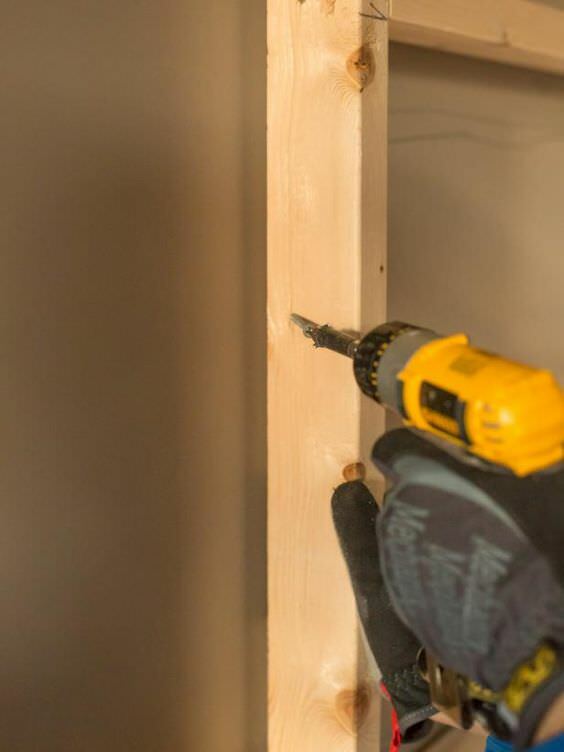 Then visit ‘Popular Mechanics‘ for a video tutorial on how to build a hidden lift TV cabinet. This is the ultimate way to hide a TV! Check out this stylish DIY TV cover using art from ‘Lia Griffith‘. There is a great step by step photo tutorial, and the artwork can be switched out each season. Build the Grandy sliding door tv console from ‘Ana White‘, and customize it to fit your TV and equipment. Lots of her readers have built this console, and it has photos and plans. Want something really simple? 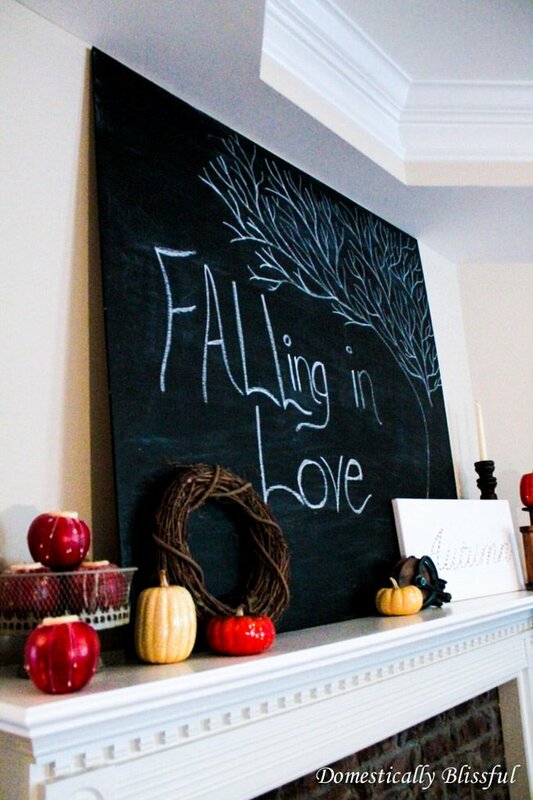 Cover a TV with a chalkboard with this idea from ‘Domestically Blissful‘. Cute, right? 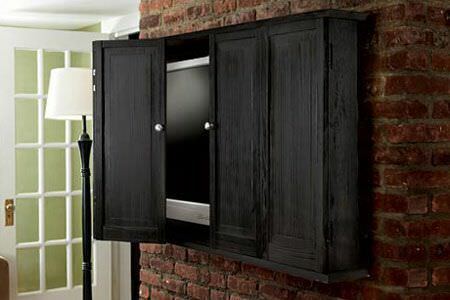 Whether you are covering a built in niche like she is, or just leaning it in front of a mounted television, it is a simple solution to hide a TV. And cute, right? Did I say that already? 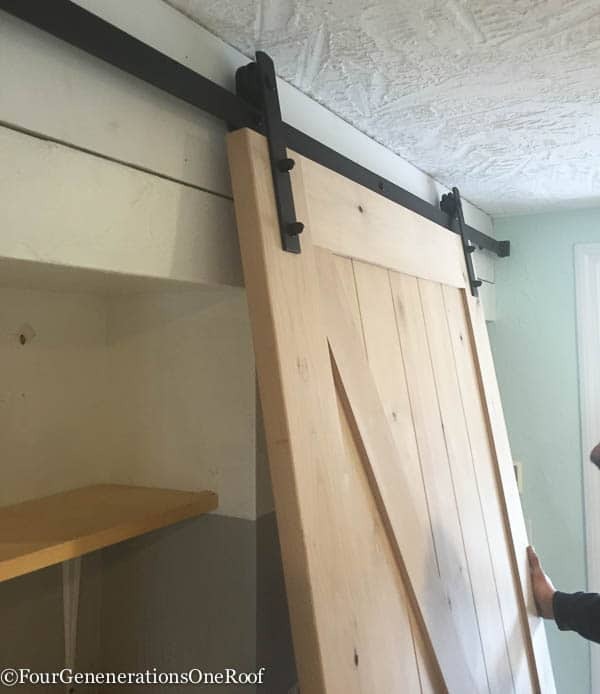 ‘Four Generations, One Roof‘ shares their tutorial on how to make their DIY sliding barn doors. 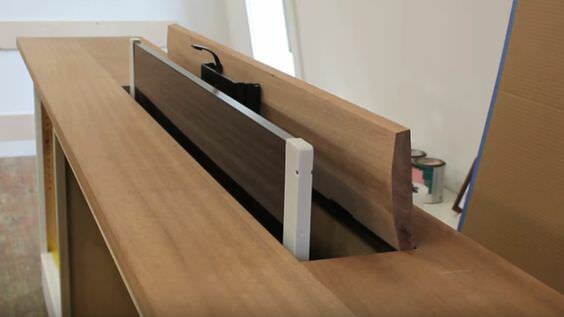 This is a perfect way to make a flat screen TV cover! Great instructions and photos. 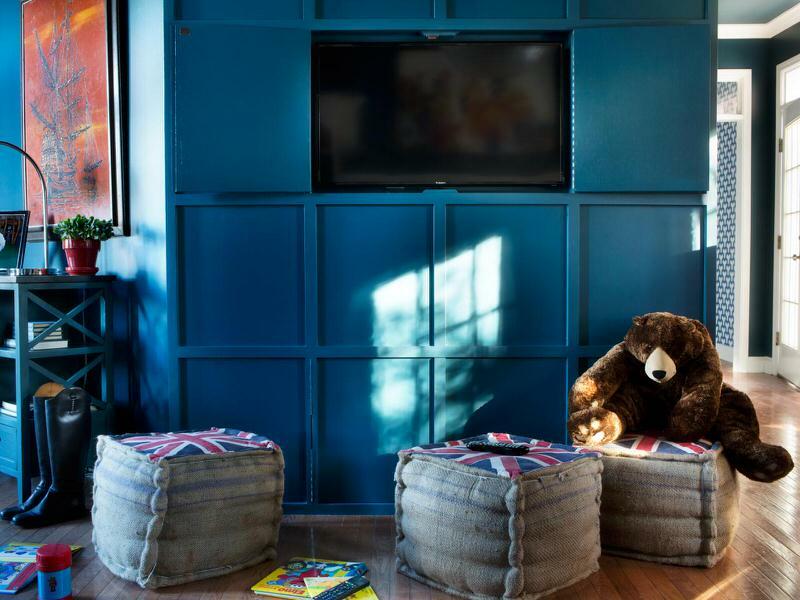 Learn how to hide your TV with wall paneling from Brian Patrick Flynn of ‘HGTV‘. If you aren’t aware, Brian has been responsible for designing several of the HGTV Dream Homes. This tutorial has lots of thumbnail photos that you need to click on as you pass through each step. 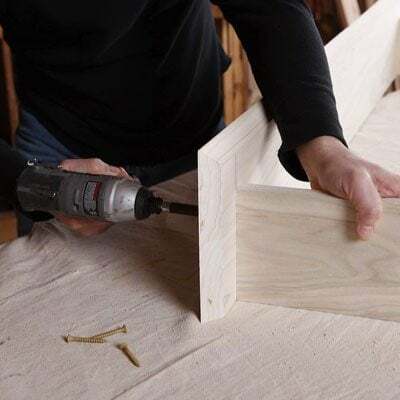 From ‘This Old House‘, learn how to build a wall hung TV cabinet. This has tons of step by step photos and instruction, and includes a video as well. 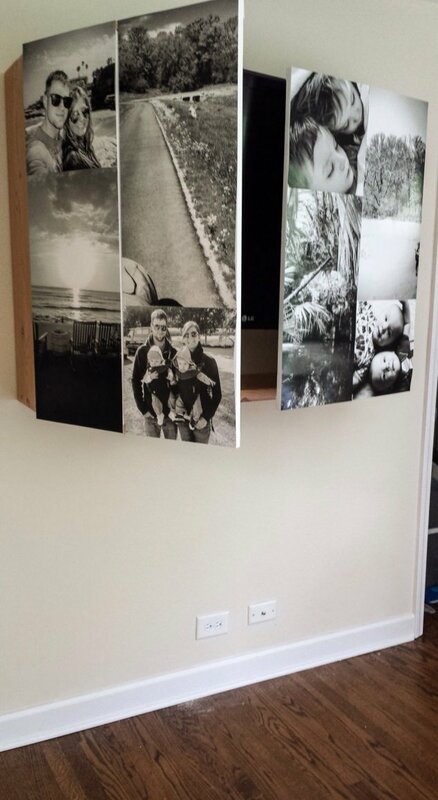 Finally, this DIY wall mounted TV cabinet is hidden with the cutest photo canvases ever. This project was also cheap! From ‘The Stroller Chronicles‘. 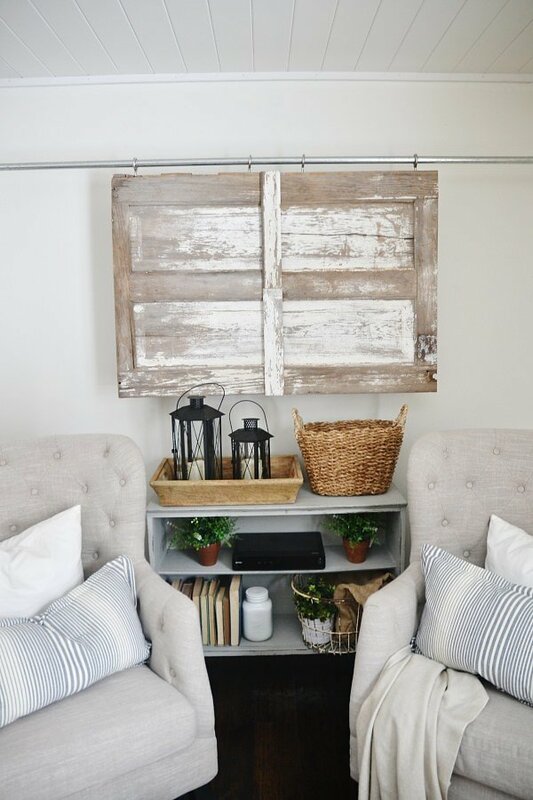 If you enjoyed this post, you may like our post on How to Hide Indoor Eyesores, or DIY TV frames! Thank you for the beautiful ideas! Looking forward to following you on Pinterest! Some fabulous ideas that I would have never thought of on my own. 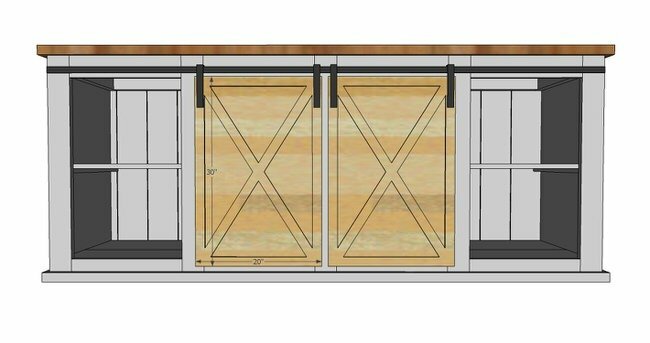 Love the barn doors, although I love more than just those. Pinned and included in my roundup. The last one is the only one I don’t like at all. The TV is positioned horribly low. If you’re doing this, you obviously don’t want the TV to be your centerpiece, but when you use it, you’d want to be comfortable. It would take a rather large TV, I think, to make it comfortable to watch at that height. The problem then is it would take an ridiculously large fireplace surround to accommodate it. Definitely know what you are saying. Was a clever idea. We just had to include it. Would have to be the right situation to work well that’s for sure! I was thinking the same thing- love the idea but it really is too low. Maybe if you had a big, high hearth? Or if it was going to be the kids’ video game TV- they sit on the floor a lot and play anyway! Yep – Unfortunately we couldn’t find a tutorial for that one. Looks like they are using some pretty nice slider hardware.